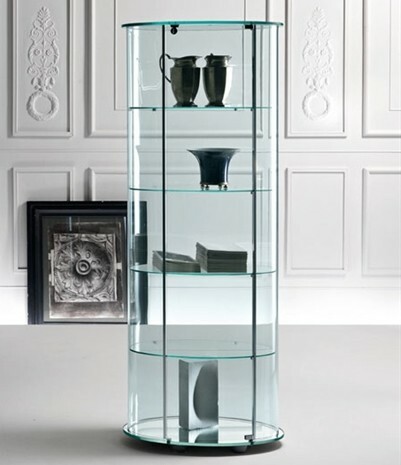 Oval showcase in 6mm thick curved glass, with four fixed 6mm thick fixed glass shelves. Glass base (12mm thick) in white or silvered glass. 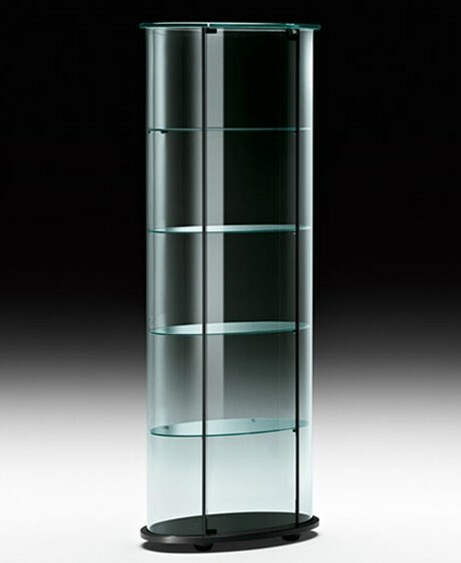 15mm thick glass top and door (with lock). Lighting kit available consisting of 2 x 20W halogan bulbs that can be placed under the top or shelves.